My dad was always a hunter when we were kids. He enjoyed the sport and our freezer had venison in it quite often. As an adult I do not cook venison recipes too often, but when I do the flavors are truly incredible. I remember having it in stews and soups, even as a chicken fried steak substitute. 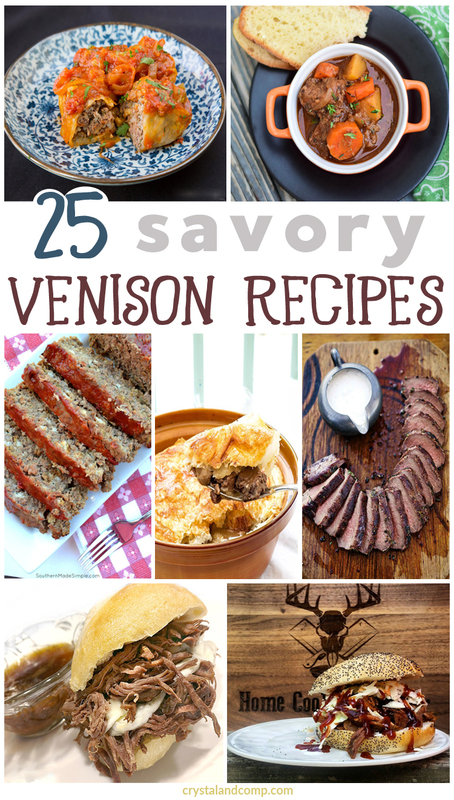 Venison can pretty much be cooked any way you want. 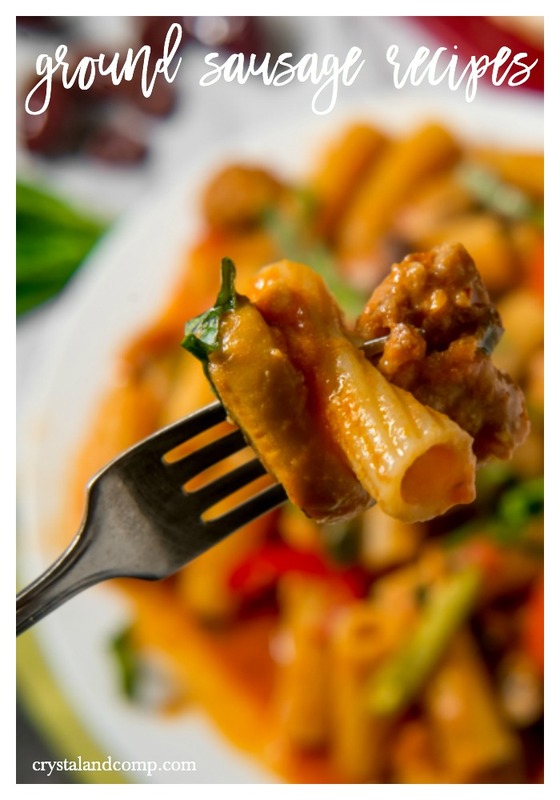 Sub it in for any of your favorite proteins. Plus it is lean, so no worries on the fat. If you are needing some inspiration for your next venison dish then here are some ideas to make it totally crowd pleasing! Don’t you just love the warmer weather? We look forward to it every year. It kind of gets us out of the gloom winter can bring there at the end. As a kid I remember family camping trips. It was seriously so much fun. 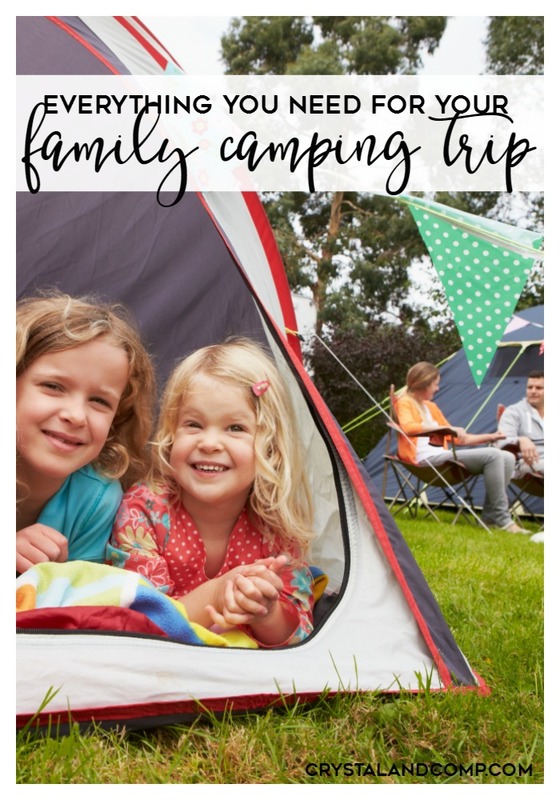 There is just something about sleeping outside in a tent that is super exciting for kids. You get to experience all of the sounds of nature, explore, and step outside of the hustle of everyday life. Growing up camping was a getaway for us as kids. We fished, we hiked and rode bikes, and of course there were tons of laughs and memories made with family. 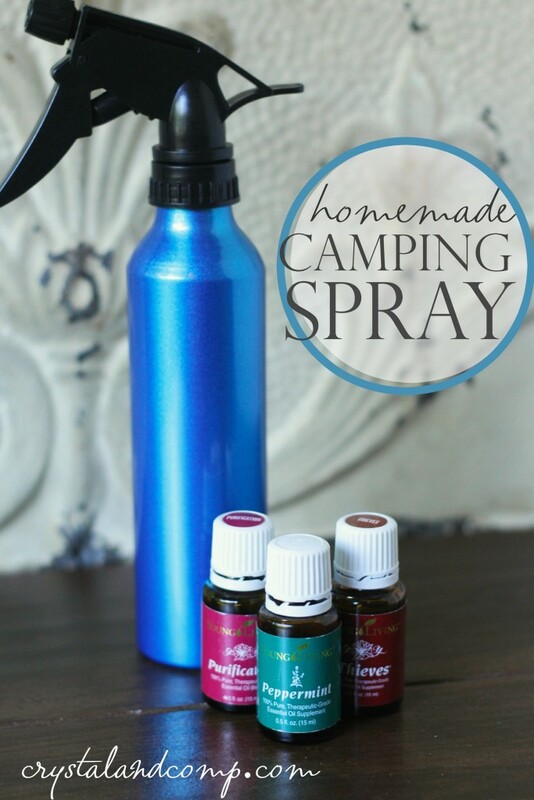 There are a lot of items necessary for making the best camping trip possible. 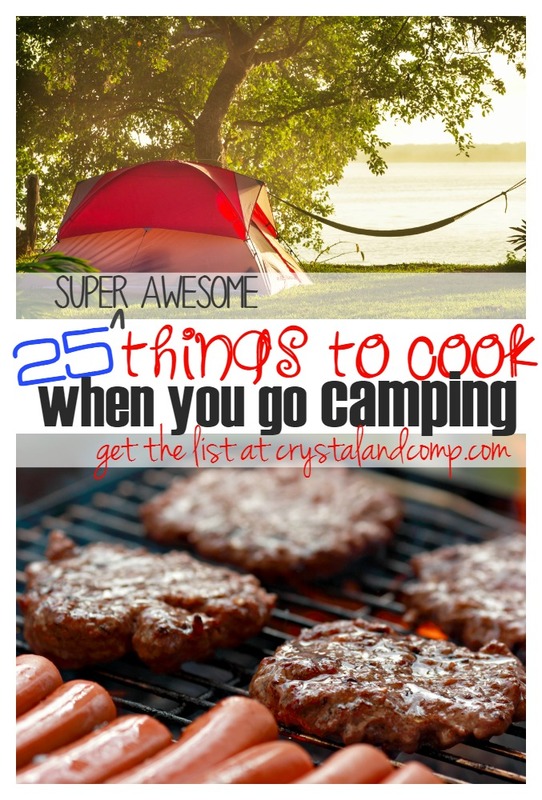 Here are is a list of 27 Camping Items that will make your venture worry free! 1. Assemble your tent and keep things clean with this best selling Coleman Tent Kit! 2. 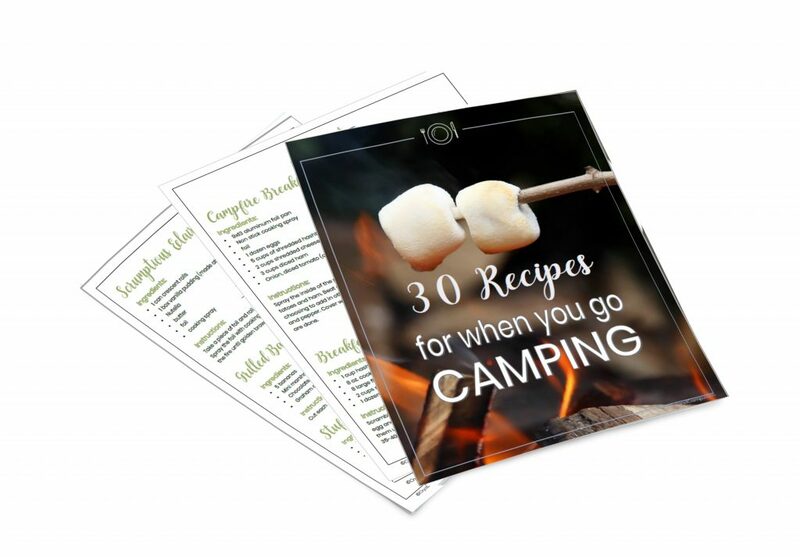 This Camping Cookbook is an instant download with 30 recipes. Breakfast, dinner and desserts all included!! 3. You have to have this Portable High Chair that folds up easy for travel and comes with a handy carrying bag. 4. Relaxing is made simple with your own Portable Folding Hammock that is perfect for on the go! 5. This Two Pack LED Lanterns is just what you need to find your way once it gets dark! They are water resistant and collapsible. 6. Need a place for baby to stay occupied? This GoPod is perfect as a little activity station for the little ones. 7. Keep the bugs at bay with these super convenient Mosquito Sticks you can burn right at your camp site! 8. If you are in need of something to use for power this Waterproof Portable Solar Charger will do the trick. 9. Camping is not complete without this roomy 8 Person Coleman Camping Tent for the whole family. 10. Never camp without all of the essentials you can find in a First Aid Kit! 11. Make dinner for the whole family with this set of Camping Cookware that has everything you need for meals. 12. These quick drying Micro Fiber Towels are the best for camping! 13. You must have these LED Flashlights on hand. They fit right in your pocket! 14. Stay warm and cozy at night in this Coleman Cooler Weather Sleeping Bag. 15. This Folding Chair has a built in dining feature for sitting and eating right by the fire! 16. Check out this Air Mattress that has a built in electric pump to have it filled in no time. 17. Cooking is super simple with this Cooking Griddle that has handles for carrying too. 18. If you are heading out on a hiking adventure you will need this Lightweight Backpack for water, snacks, and other necessities. 19. You gotta have coffee in the mornings and you can make it up right with this Coffee Percolator. 20. This Portable Bed fits just right inside your tent for sleeping under the stars! 21. Keep all your cold foods cool and secure in this Rolling Cooler. 22. Cook marshmallows and hot dogs fire side with this handy Roasting Sticks. 23. Don’t venture out without Sunscreen! It is a must for the outdoors! 24. A good Tablecloth is great for covering the table and this one wipes clean and is reuseable! 25. Make sure the tablecloth stays on the table with these must have Tablecloth Clamps. 25. Keep cool and shaded with a Triangular Sun Shade that fits great over common areas. 26. These Food Tents are great for keeping food secure and flies away when you have a setup on the table top! 27. This Folding Wash Basin is perfect for washing and rinsing dishes at your campsite. 28. Get a fire going in no time with this handy dandy Fire Starter that is a must have for camping. What are some essentials for your camping trip? Share your ideas! I have four kids. All of which are in different seasons of life. I fell like sometimes it is a whirlwind issues according to age. One thing that never changes is that they fight. Sure there are 9 years between my oldest boy and youngest boy, but they fight ALL THE TIME. Sibling rivalry is just part of it. I am sure that so many of you guys can relate with the woes of sibling rivalry. It can make a mom want to go crazy at times. It is literally the one thing that drives me crazy about my kids. It is just down right annoying. Sibling rivalry is totally normal. I mean after all your siblings are who you spend the majority of your time with. Kids are going to have conflict. Things like personality differences, likes and dislikes, and even age have a lot to do with the rivals that go on among siblings. It is a battle that we as parents moms have to deal with. 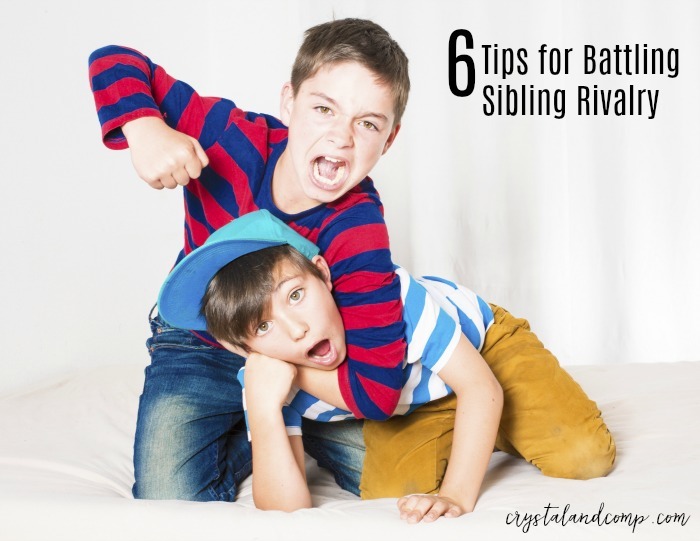 Here are my 6 tips for battling sibling rivalry to save your sanity. 1. Don’t sweat the small stuff. 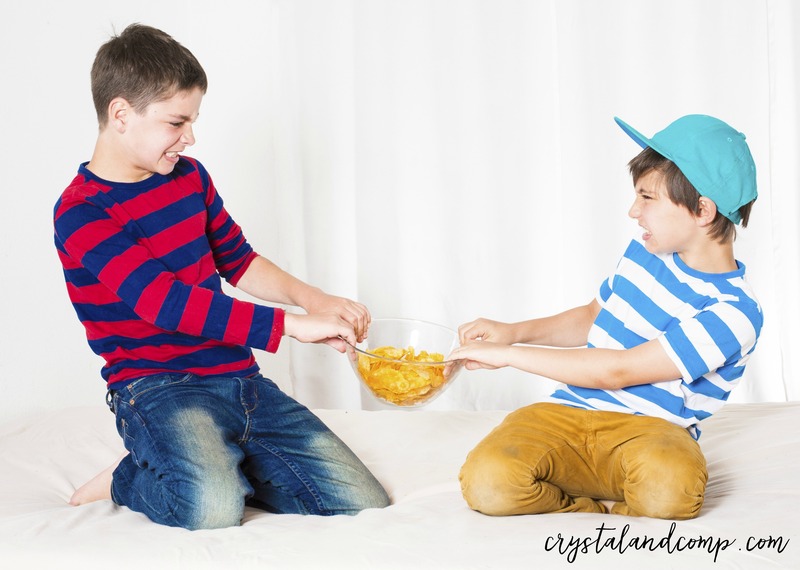 As annoying and completely draining the woes of sibling rivalry are take it in stride. If it is just a little tiff don’t run and get involved. Some times in these situations kids need to work it out on their own. When your kids come up with good solutions it builds even better problem solving skills. So only rush in on those squabbles that really need adult attention. 2. Take fair out of the equation. I think sometimes as parents we strive to make things equal for each child across the board, and that is literally impossible. I think is causes us more grief int he long run. For example, bedtime is different for each of our kids. Our 18 month old goes to bed around 7:30 every night. Our 6 and 9 year old go to bed at 8:30 and the 15 year old at 10. I can not tell you how many times I have had the discussion about why bedtime is different for everyone. Talk about broken record. I then have to reiterate that priviledge and responsibility come with age. 3. Laugh about it. Sometimes humor is the best medicine. Laughing and making light of the situation tends to catch your kids of guard. I can not tell you how many times I have tried to just make light of a situation by laughing at the silliness of it all. Then the kids begin laughing and then it is like the quarrel never happened. This kind of goes hand in hand with not sweating the small stuff. 4. Teach your children to be considerate and compassion. This one can be really tough when they are small but, it is really important that you teach your kids to be compassionate toward other’s feelings. However it really pays off in the long run. When you have a war between your kids try are relate the feelings involved to each child. 5. Listen to both sides and be a mediator. When these tantrums just get totally out of control and you need to intervene it is good to approach it with an open mind, even if you think one child is being overly dramatic try and excuse it. Active listening at times is just hard to do, but do you best. Offer a middle ground and a quick resolution! 6. When it is time, say enough is enough! It is not wrong to call a timeout when the time is right. There are times when feuds have gone on all day that I just throw my hands up at trying to provide some sort of simplistic balance and I end the entire thing. This could mean opposite sides of the house or even a quick bed time. You have to maintain your sanity and sometimes the attempts at trying to resolve these tats are just too big because everyone is tired, annoyed, bored, etc. It happens! Not all of these may work for you. Maybe just one or two. Either way siblings are around a lot longer than an friends you or your children will ever have. As parents it is so important to influence those healthy bonds among siblings that will last a lifetime. I tell my kids this all the time, because it is so true. You only have one family, friends come and go throughout your whole life! Valentine’s Day is just around the corner. Like next week around the corner. 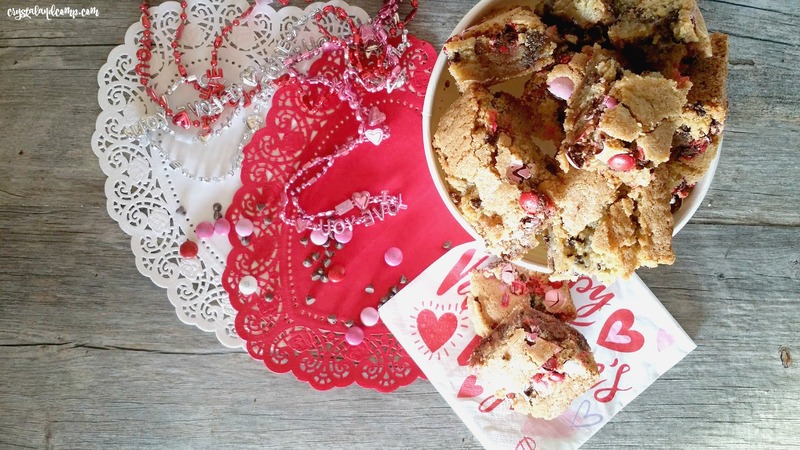 I was busy thinking of something I could make for my kids that they would love when I thought Valentine candy + cookies= LOVE. 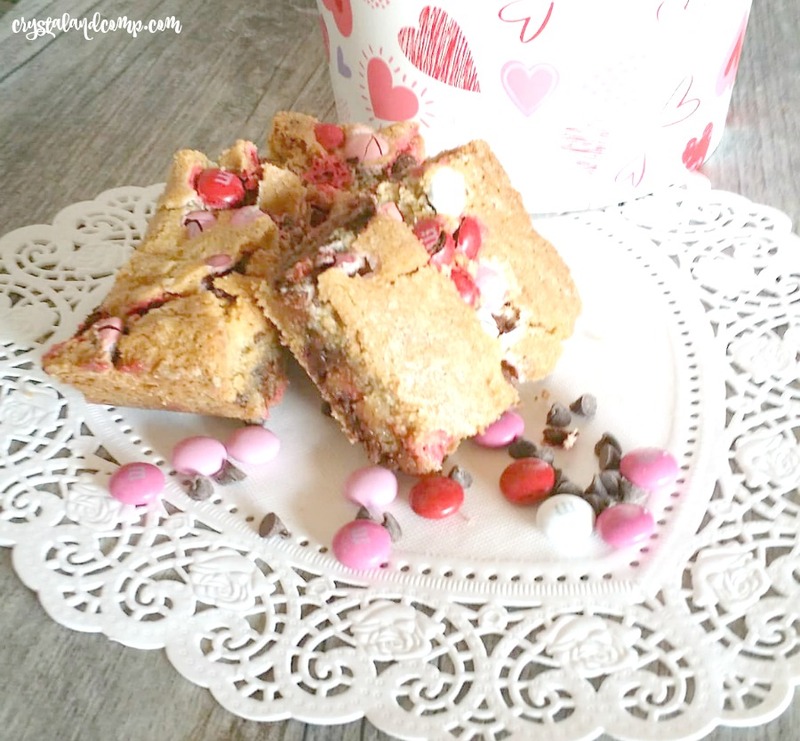 It doesn’t get any easier than Valentine Cookie Bars! For Valentine’s Day I usually do a little something that makes them feel special. Now I don’t mean I am going out breaking the bank, a special treat is just fine! Plus, I may make a little extra so I am feeling the love too! Who can say no to a delicious cookie? Certainly not me! 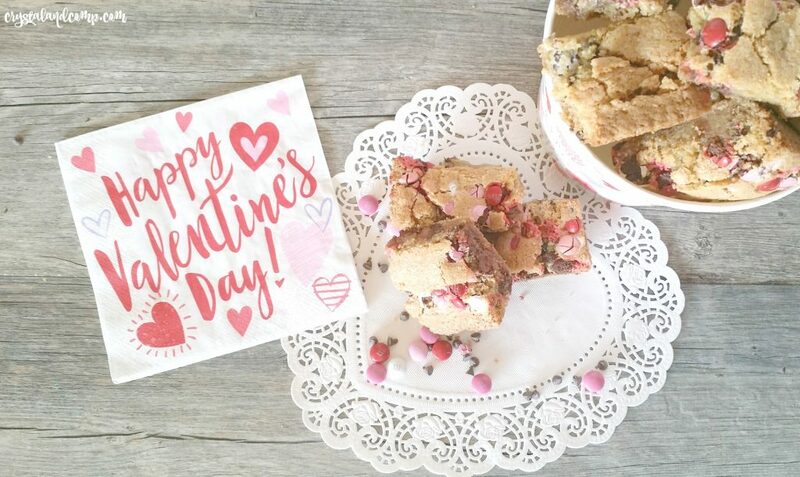 Packed with semi-sweet chocolates and M&M surprises these Valentine Cookie Bars are to die for. You can’t have just one so makesure you are wearing your fat pants! 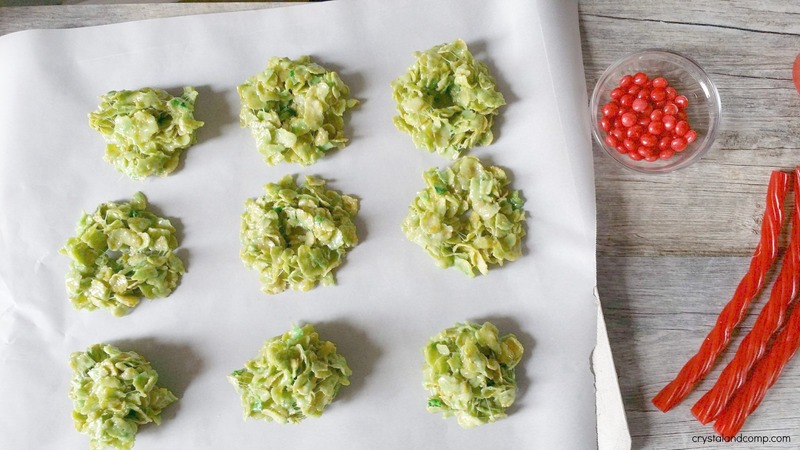 Preheat your oven to 350 degrees and then grease your 9×13 baking dish. 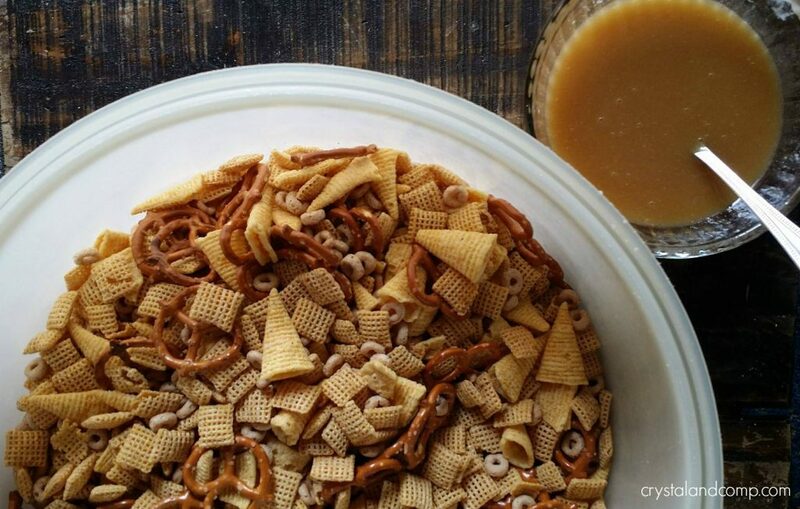 Beat the butter, brown sugar, and white sugar in a dish until smooth. If your butter is not super soft the mixing process will take FOR-EV-ER. So makes sure they are pretty soft! Then toss in the eggs and vanilla and keep on mixing. 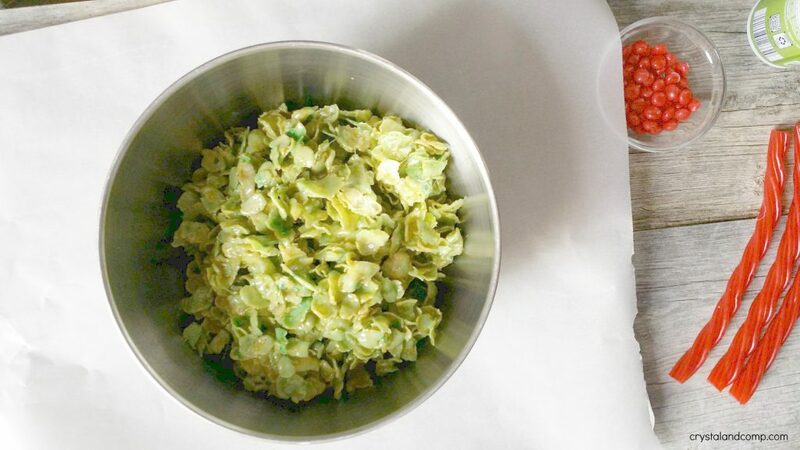 Once everything is all mixed up go ahead with slowly adding in the flour and baking soda. You could just dump it all in i just found it easier to mix this way, especially if you are using a hand mixer. Lastly, sprinkle in the chocolate chips and M&M candies. Give everything a good mix. I did reserve some of the chocolate chips and candies to toss on top at the end. I just pressed them into the mix before popping them into the oven. 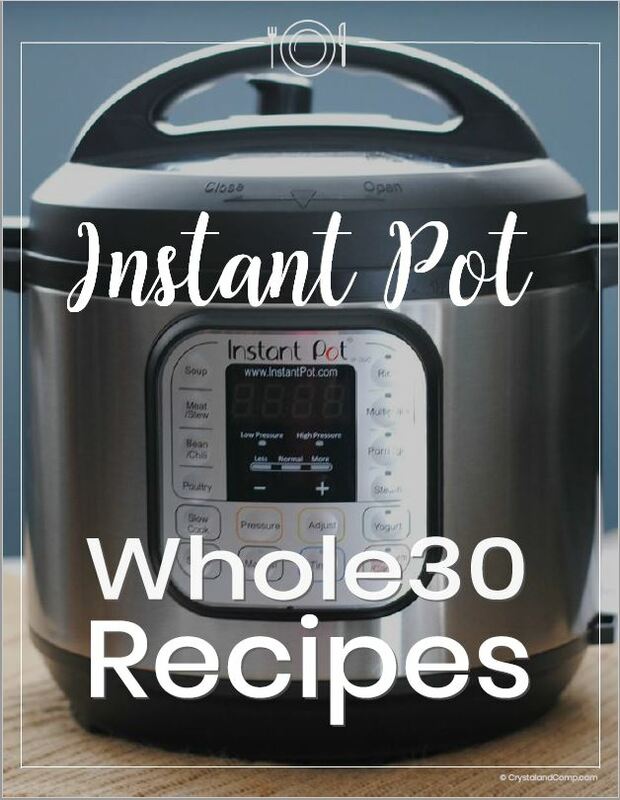 Bake at 350 for about 35 minutes. Let them cool completely before cutting. Just check them out! Amazing right?! Christmas is right around the corner! Can you believe it! I just love the way the tree lights up our family room during the holidays. The whole process of putting up the tree and decorating the house is also another thing we just love doing. Each year I try and add new ornaments or decor to the tree to make it even more special. 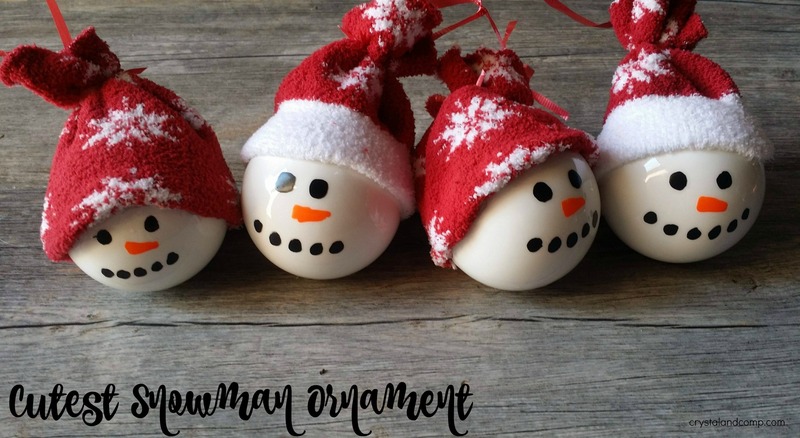 We have made lots of ornaments in the past but this homemade snowman ornament is just too cute! They are super easy to make and a great addition to your Christmas tree this year! 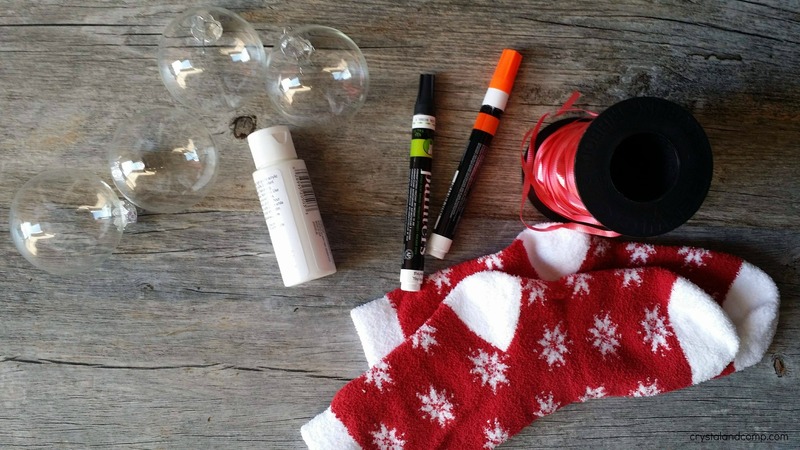 This project is so simple you will want to make a bunch for your tree and your kids will love them! Then remove the metal top and begin squirting a few good squeezes of the white paint inside the ornament. Swirl it around some to coat the inside. You may have to do this a few times to get the majority of the inside of the ornament coated well. Put the top of the ornament back onto the ornament and set it aside. Cut at the heel of the sock. Since we used the top of the sock and the bottom we just cut out the heel area to make 2 rectangles; 1 top rectangle and 1 bottom. 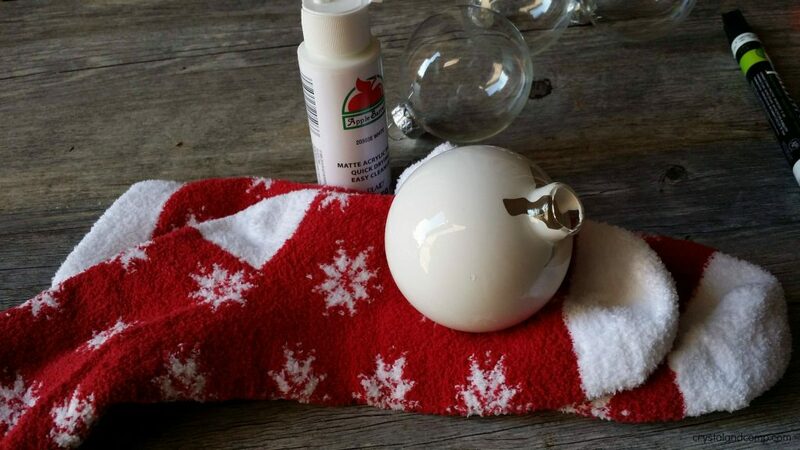 Slide the cut sock over the top of your painted ornament. Adjust it so that it sits just like a hat would on your head! Secure with a few dots of hot glue. Of course…you are in charge of that part! Then take another piece of the ribbon and tie it around the top to gather the hat. Cut it shorter so it doesn’t show. Last, draw on your snowman face! 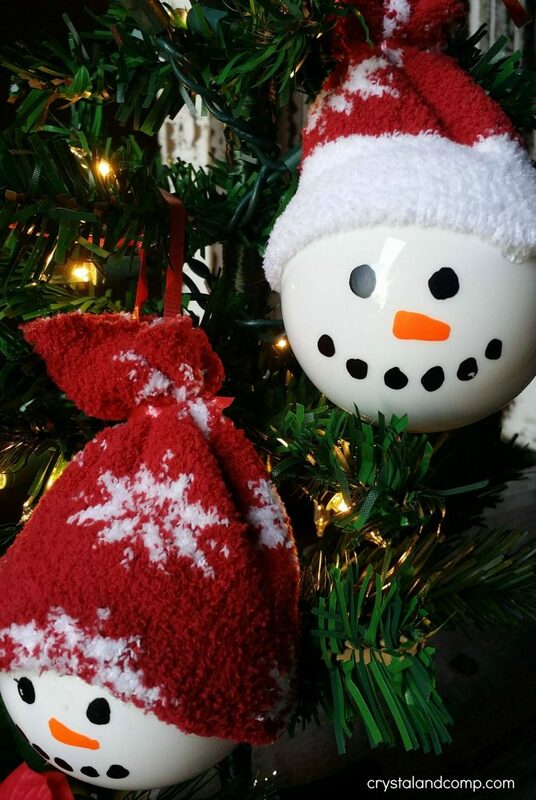 We LOVE how these turned out and they look great on any tree! 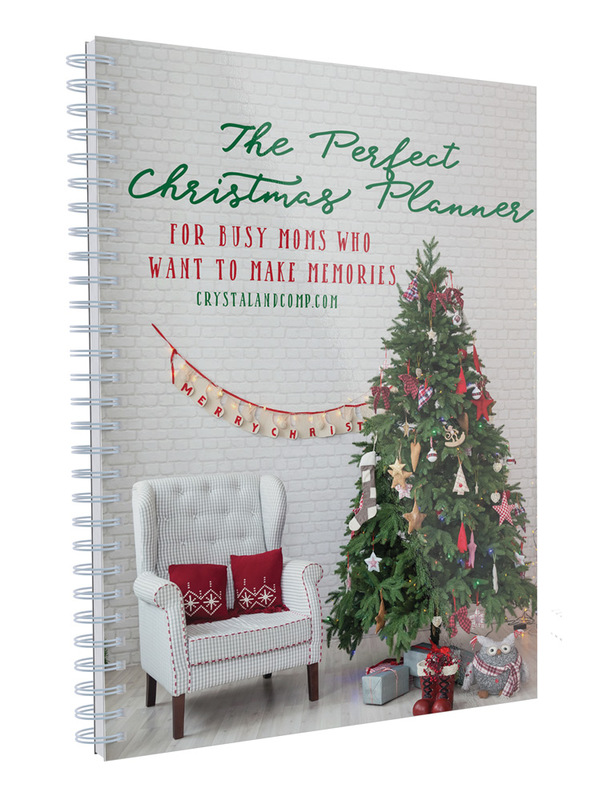 The Perfect Christmas Planner takes all the stress out and lets you make memories with your kids. 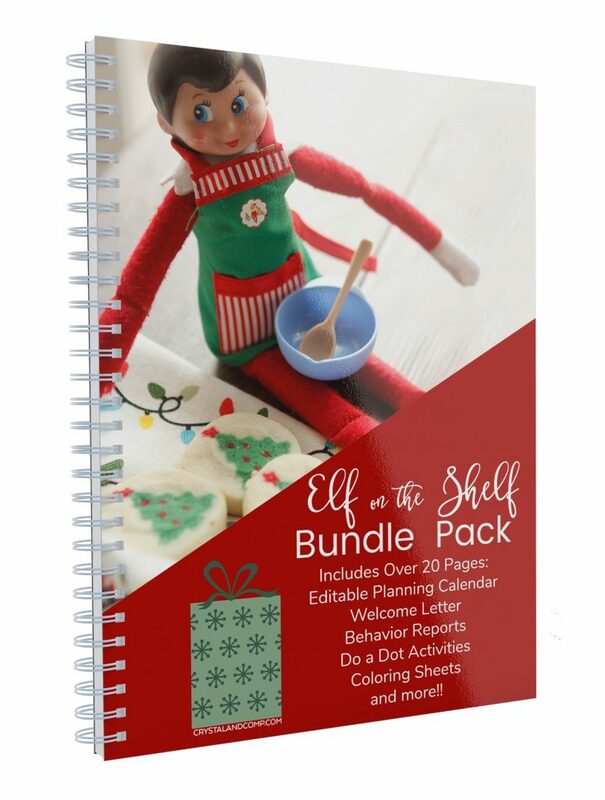 Are you doing Elf on the Shelf this year? 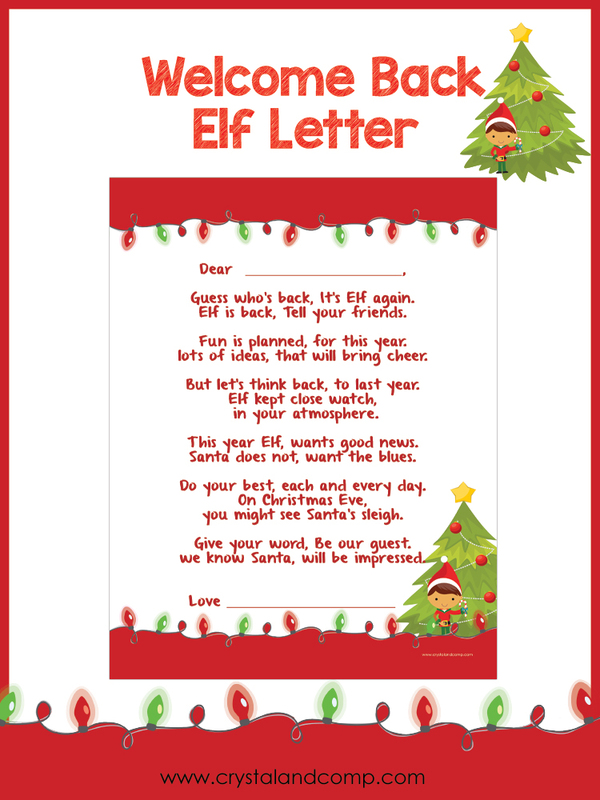 Here are 20 done for you ideas you can download with printables. I LOVE Christmas time! The family time and decorations make things totally worth while! Sweet treats are also another thing we seem to see a lot of around this time of year. 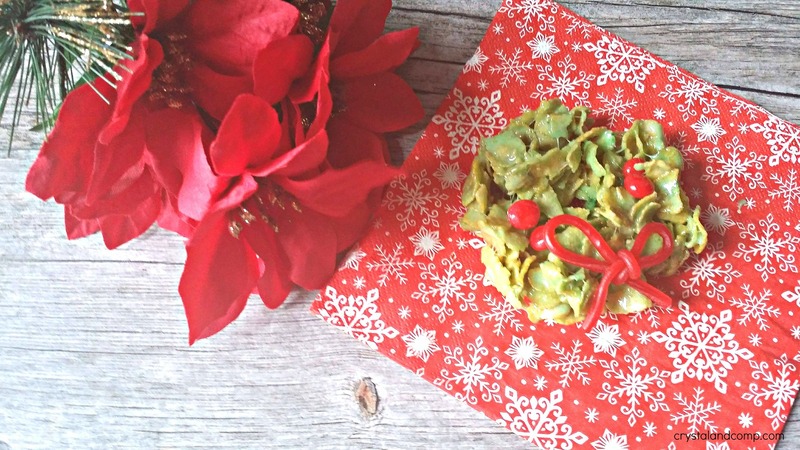 Are you wondering just what treat might be perfect for your Christmas party? 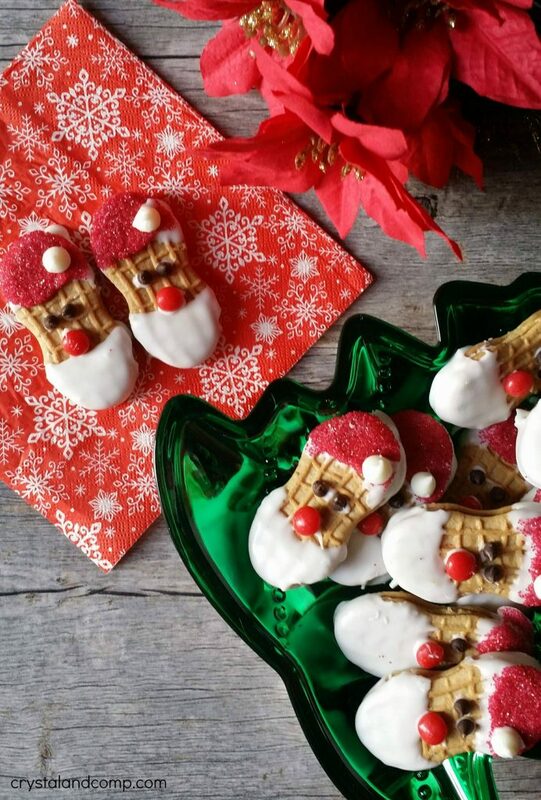 Let me tell you all abut these easy no bake Santa cookies. First of all they are so super cute and they are so good! 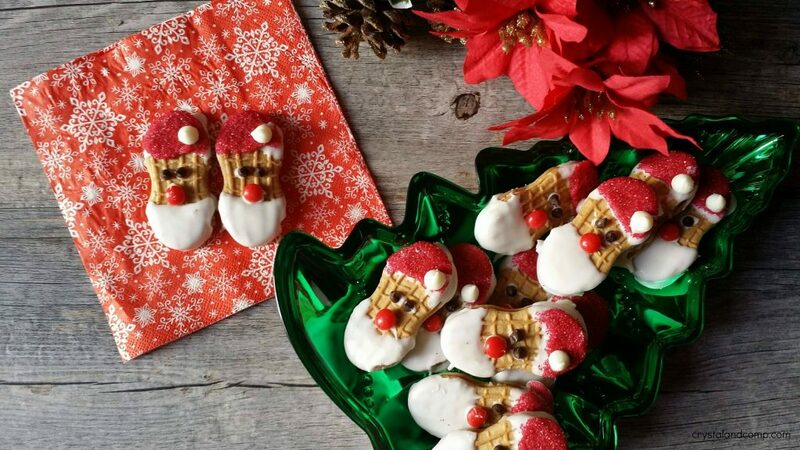 So if you are worrying about cookies to go along with the holidays you have to make these! 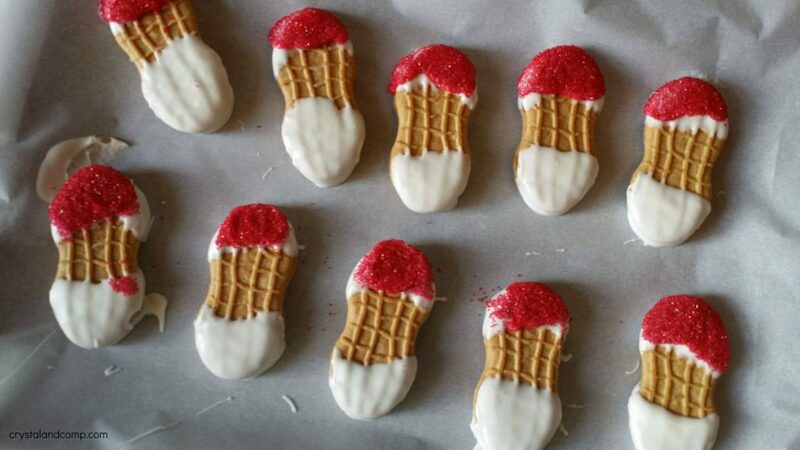 Make sure you check out all of our no bake Christmas cookies while you’re here. 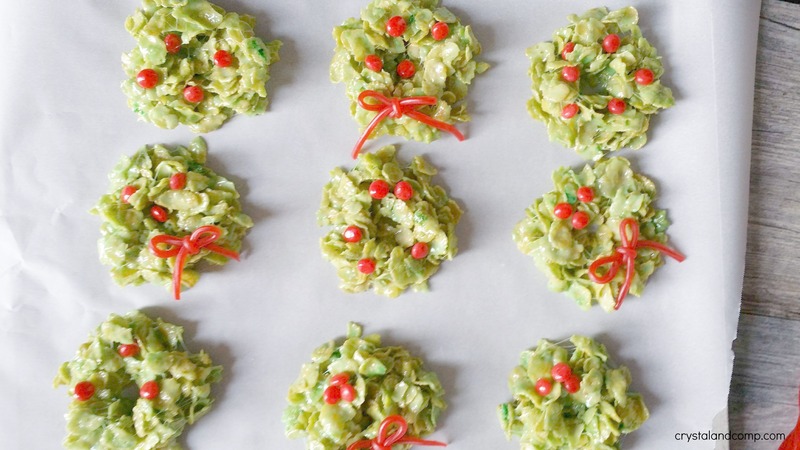 They are all perfect for any holiday party or cookie exchange. Begin by first heating a few squares of the almond bark in a microwave safe bowl. 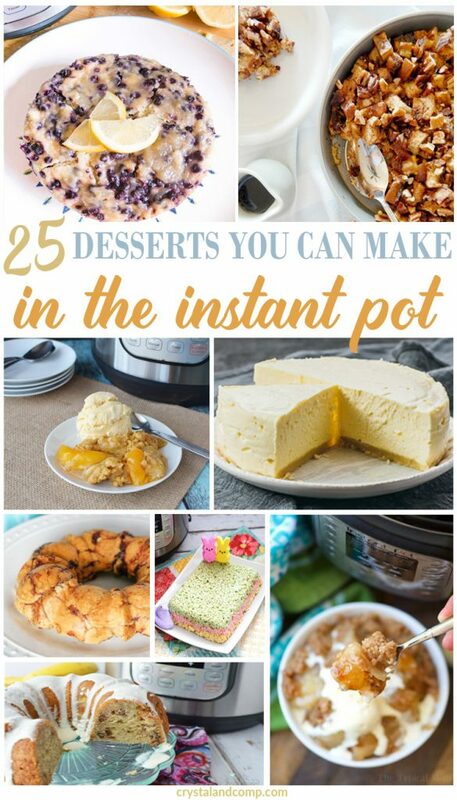 Depending on your microwave try 1 minute, stir, and repeat if not completely melted. 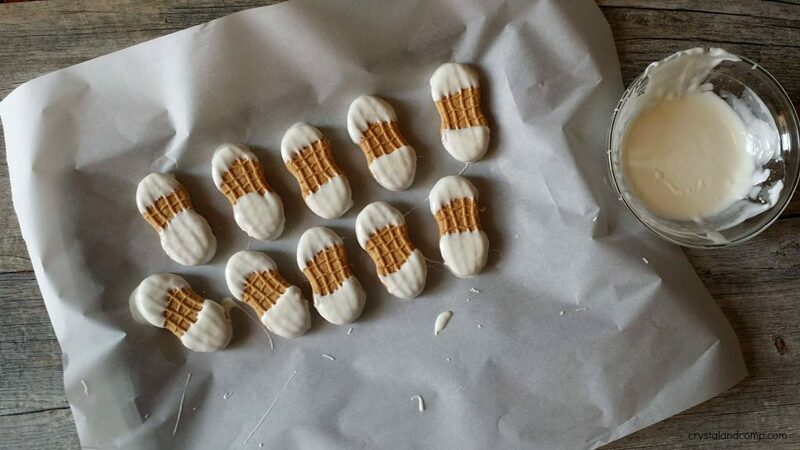 Carefully dip each end of your cookie into the melted white chocolate. Allow to set. Before the chocolate completely dries press one end of the white chocolate dipped cookie into your red sugar sprinkles. This will be your Santa hat! This is also when you can add the mini white chocolate chip onto the red sprinkles to complete the hat. Allow the cookie to set and dry. 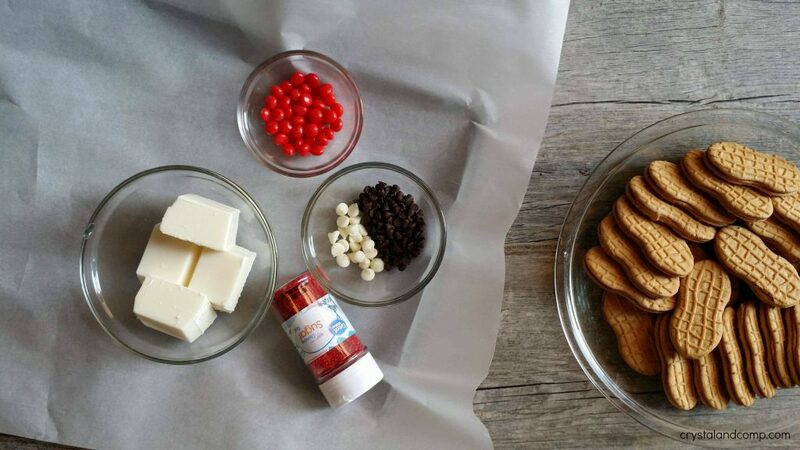 Once the white chocolate is dry you can dip the chocolate chips and red candy nose into some of the melted white chocolate to secure it to your cookie. I found it easiest to put a little of the white chocolate on one finger and then dab the eyes and nose with what was on my finger. I am so ready for fall. 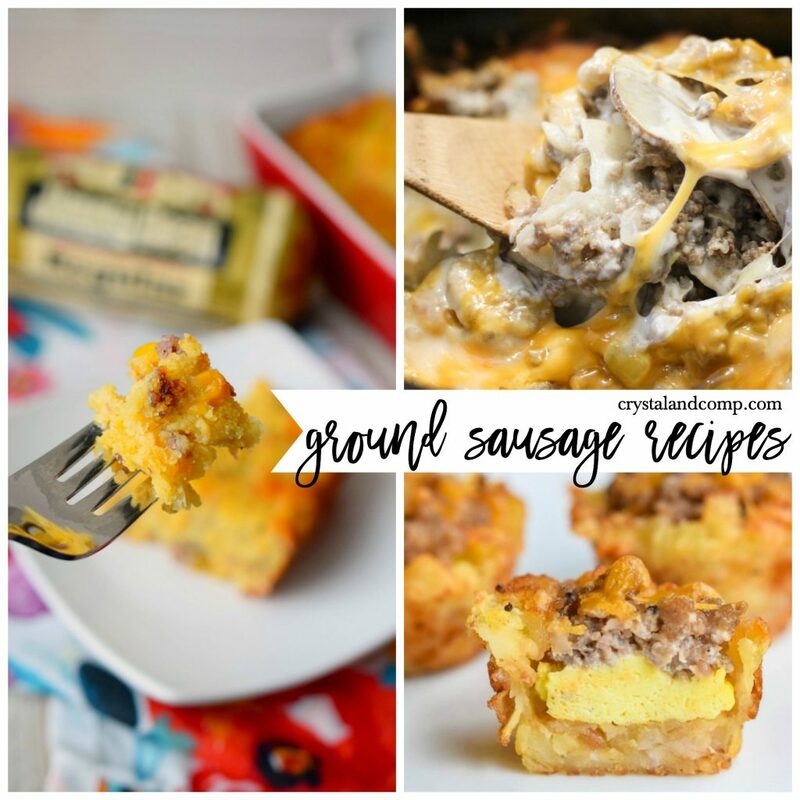 Cooler temperatures, yummy recipes, and fall treats! I have to say I have a lot of favorite things about fall. Cooler weather is probably number one because it gets hot here in Texas, but aside from that fall is a big season change. I love to see the colors of the leaves change and make my favorite foods that I wouldn’t normally make during the hotter summer months. 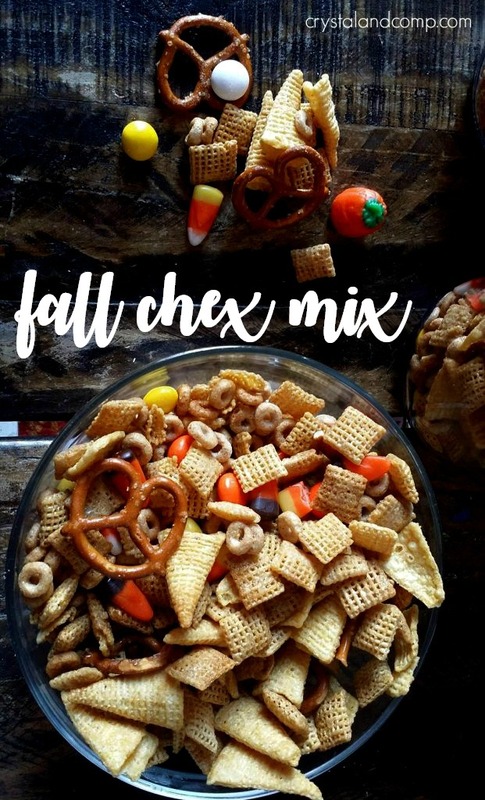 On the weekends we usually have a range of good snacks and such and I thought in honor of the cooler weather that is upon us we would make this fall chex mix recipe that is to die for! 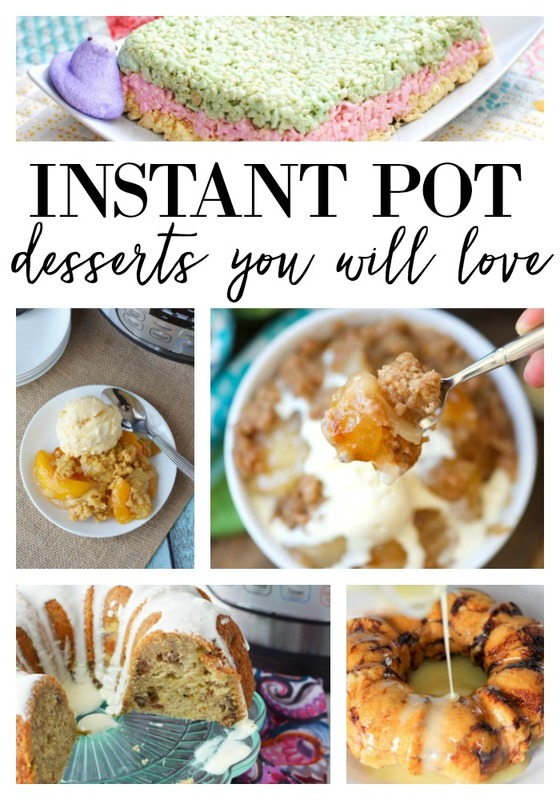 Let me show you just how easy this recipe is and it stores really well to for a sweet snack later! Preheat your oven to 275 degrees. Melt the butter in the microwave. Whisk the melted butter with the brown sugar and vanilla. 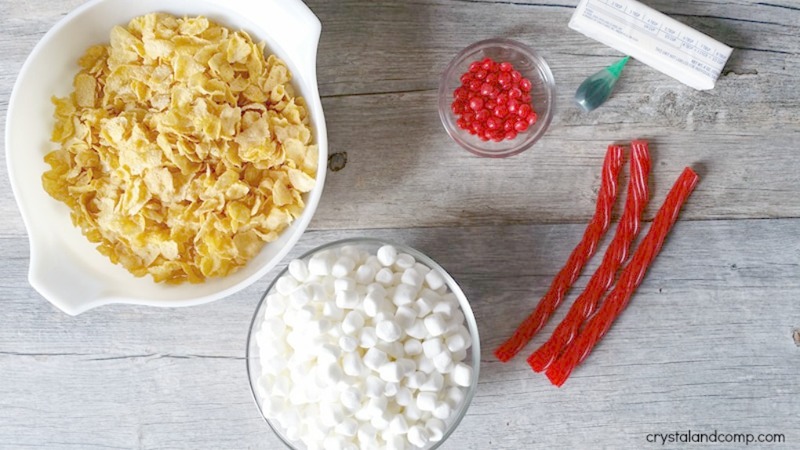 In a large bowl add in your mixin’s EXCEPT for your M&M’s and candy corn mix. Pour the glaze on top and mix well. 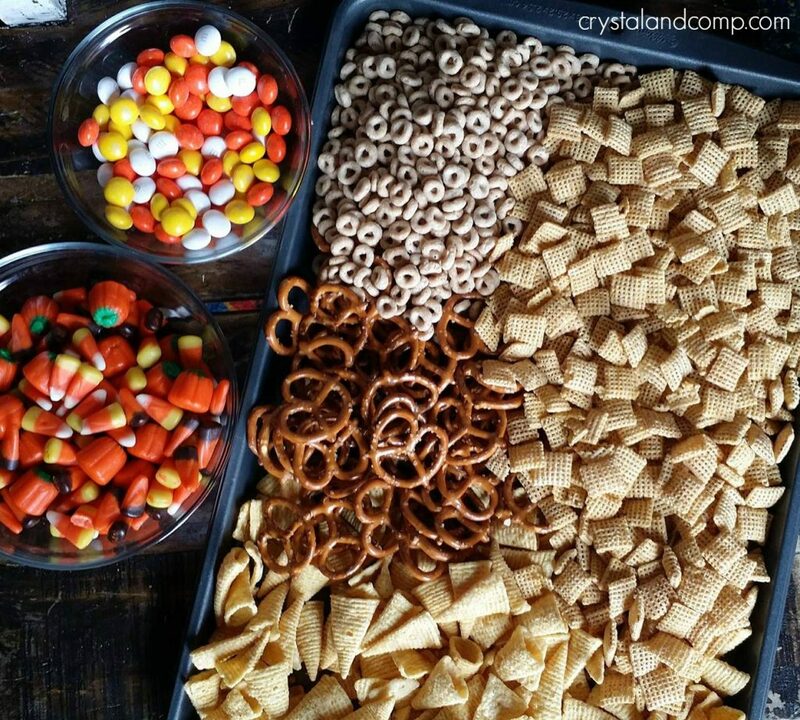 Put your glazed fall mix on a cookie sheet, you may need more than one, and pop it in the oven for 35-45 minutes. Give it a mix every now and then. Once it is done remove it from the oven and allow it to cool off. 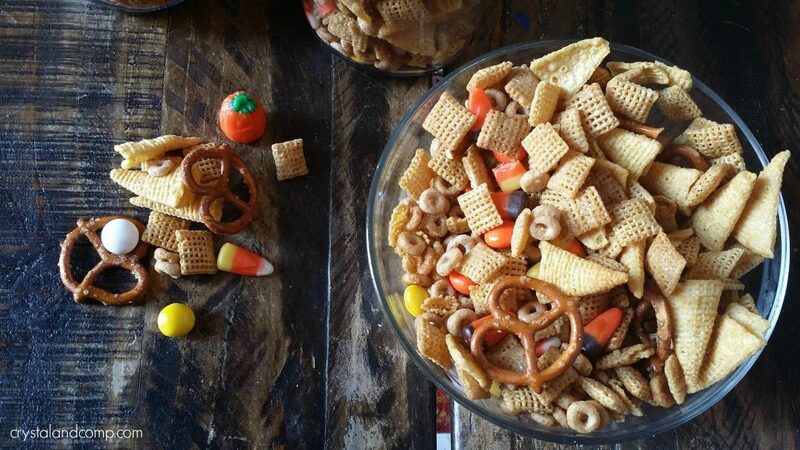 Once cooled throw it back in a bowl and add in your candy pieces. Mix it well. Does this not look delish! 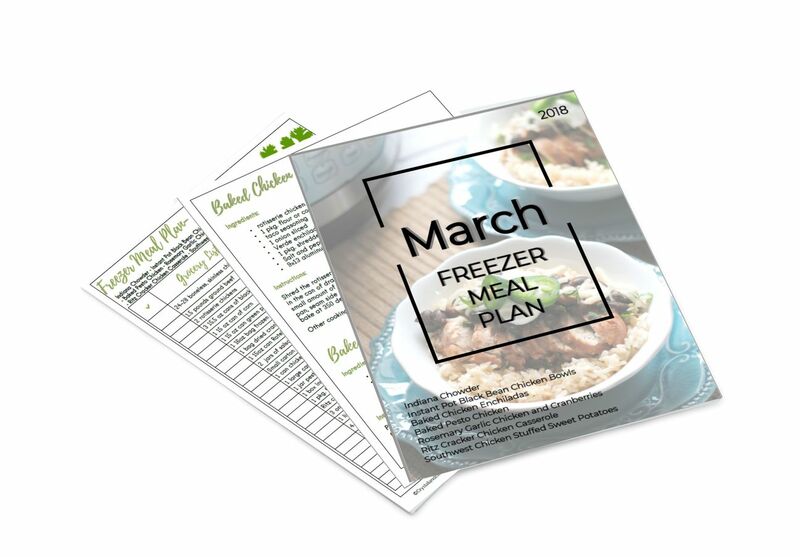 Store it in a container or sealed bag to maintain freshness. Make sure you pin this so you know right where it is for your Halloween party. 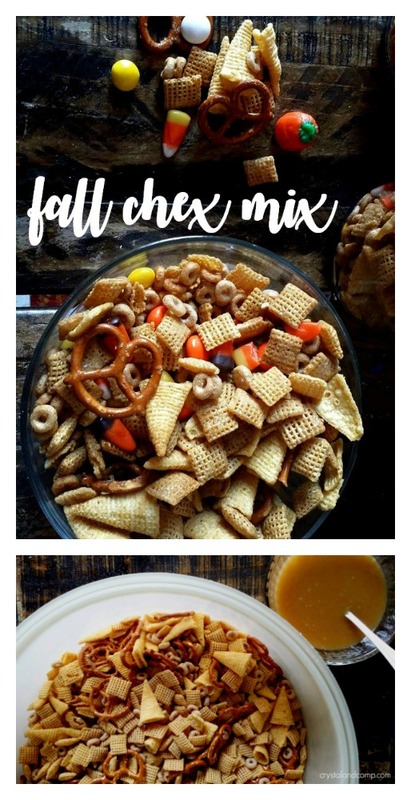 It is the easiest snack you will make this fall! Click here to pin it.